In the course of the programme ‚fellowships for innovations in academic teaching‘, the Ministry of Innovation, Science and Research of the State of North Rhine-Westphalia and the Donors‘ Association for German Science awarded fellowships for innovation in digital academic teaching. to consolidate digital academic teaching in the universities themselves. When it comes to the exploitation of mineral deposits, a distinction can be made between three different kinds of mining: underground mining, open pit mining and borehole mining. Different mineral deposits with varying spatial characteristics can be potentially mined, which has to be planned by mining engineers. Here, a wide range of different mining methods are available and they need to be optimally adapted to the varying deposit conditions. Furthermore, special machines are used in mining which have to carry out sub-processes within the mining unit operations: extracting – loading – transportation. This interaction of three-dimensional and natural geology and the optimal use of equipment as well as human resources, characterizes the overall mining system. 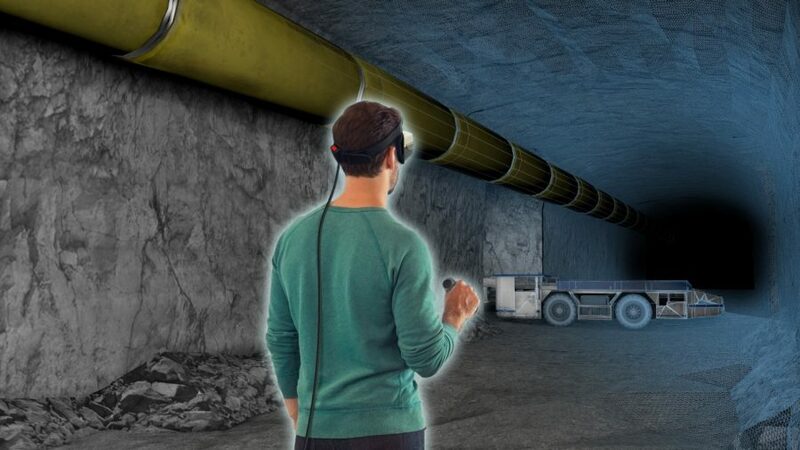 For these reasons, mineral production is a complex and interdisciplinary ‚3D+ problem‘ which could be brought closer to students by the use of virtual reality (VR) technology. In the course of the fellowship, the Institute of Mineral Resources Engineering (MRE) has developed and implemented innovative ways to impart teaching content by using VR. In VR it is possible to deeply immerse into a virtual world. This allows students to access diverse situations and environments and promotes comprehensive and creative experimentation. It is also an important element in innovative teaching, especially in engineering sciences. The developed VR scenarios is used in small-group exercises in a relevant mining engineering lecture. Beside the implementation into the education of mining engineering students, it is obvious and desirable to involve other courses at RWTH Aachen University and beyond.